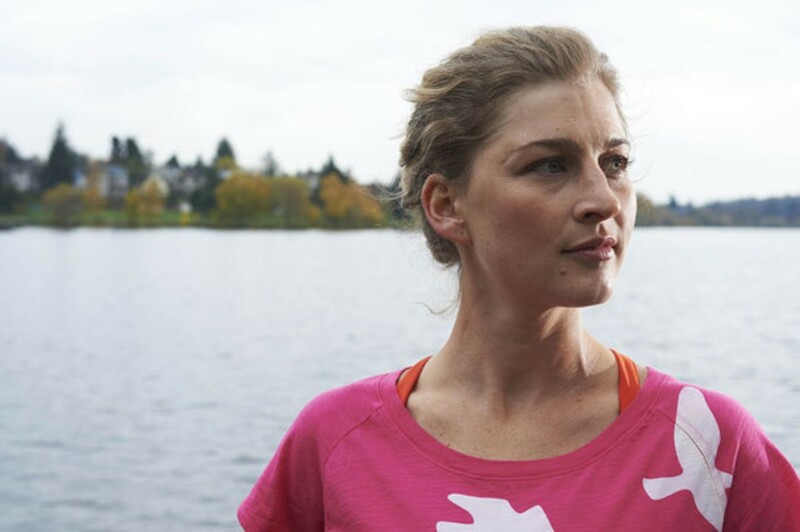 Two-time USA Track and Field Outdoor 5,000M champion Lauren Fleshman has a hand in every part of the sport—from media to clothing and snacks. She appears on the cover of the June edition of Runner's World and is immortalized as a paper doll inside. 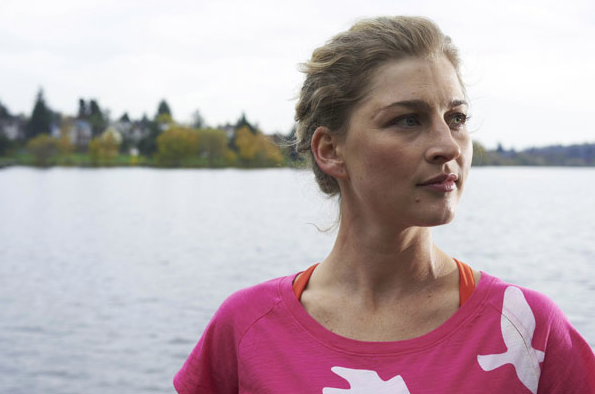 She also is a partner in the Oiselle clothing line for women and runs Picky Bars energy bars. Wednesday, Fleshman's somehow made time to lead the 4-mile Happy Girls Shakedown Run (preparation for the proper race May 24 and 25), as well as host a trivia contest and Q&A session at FootZone afterward. Oh, and she has an 11-month-old son. "I haven't gotten back to an elite level of competition yet," Fleshman, who moved to Bend from Eugene about a year ago, said about getting back into shape since becoming a mother. "I'll get there, and I'll get there healthy, because I'm being mindful." Being a sports personality and knowing how to balance so many disparate parts of life, she said, comes along with responsibility to other female athletes—there's a need for open dialogue about body image, training questions, coping with injuries, dealing with being a new mom and "making time for yourself and your sport." "I've benefited from the power of a good educator multiple times in my life," Fleshman said about discussing issues pertinent to other female runners. "And when you have the skills to communicate and the passion to improve peoples' lives, that combination naturally draws you into education. And while I'm not a teacher...I teach all the time." In addition to her experiences as a professional runner and business maven, Fleshman possesses a unique perspective on the tenacity necessary to compete in the upper echelon of the sport—she's married to triathlete Jesse Thomas, a Bend native; and, at times, that relationship has been like looking in the mirror. "We used to be competitive in an unhealthy way," Fleshman said about the time she and her husband spent as Stanford University undergraduate students. "It was difficult—we couldn't even play a game of ping-pong without taking it too seriously. Now, we've outgrown that." Her desire to compete hasn't dissipated, though. And after the Happy Girls Shakedown Run, she's headed down to California to run a 5k at the Oxy High Performance Meet—another step toward getting back into top, competitive form. Here's a TV feature from a few years back.